What is the best predictor of a country’s ability to produce Nobel winners? Chocolate. Yes, a study is promoting the idea that countries that consume more chocolate produce more Nobel laureates. It’s been published on a scientific journal by a New York cardiologist, who got the idea from his research into flavanols, a type of antioxidants that help keep the brain young. Since chocolate in rich in them, he tried to plot a statistical correlation between the taste for chocolate and mental prowess. Amazingly, he found it worked: Switzerland, the country with the highest per capita chocolate consumption in the world, has given birth to more Nobel laureates than anyone else. China, who has a modest appetite for it, just two. The only country that deviates from the plot is Sweden: the chocolate predictor allows for just 14 of the 28 Nobels won by Swedes. But you could dismiss that entirely on the understandable bias the Nobel committee might have toward fellow compatriots. But wait, is this guy for real? Well, even though the study is clearly light-hearted, the numbers are sound. The linear correlation between chocolate consumption and Nobel prizes is 0.791, where 1 would be a perfect match. That’s a very high value for social factors, and it shoots up to 0.862 if you don’t take sneaky Sweden into account. (In statistics, this number is called the Pearson correlation coefficient. Another factor that measures the probability of chance mudding the results, the p-value, is even better: p<0.0001. The target threshold is p<0.05, and lower is better). There’s more research centered around strange predictors. What can you use to estimate the level of corruption of a country? Tips. A study conducted by the Harvard Business School on data from 32 countries found that high rates of corruption and high rates of tipping (or ‘prosocial gratuities’, as they call them) go together. Why? If you consider a tip as a way to ensure good service in the future, that is similar, in a way, to a bribe. So, tipping and corruption might both stem from the same predicament and their correlation is statistically measurable (The Pearson coefficient in this study was 0.6). One of the most fascinating statistical correlations I’ve ever encountered links rainy days to admission rates at a Canadian medical school: fewer candidates were accepted when the weather was gloomy. We all know that weather affects how we feel, but the notion that you should try to sustain job interviews when the sun is shining takes the idea to another level. (The p-value in this study was a decent 0.042). The real jungle of strange predictors is economy. Sales of various items are periodically linked to its health. The trend was started by Alan Greenspan in the 1970s, when he said he looked at sales of men’s underwear as an indicator of how the economy was doing. The assumption is that refreshing your underwear lineup will not be your top priority if you have trouble making the ends meet. In the wake of this, researchers have come up with many different ways to assess the current state of the economy. Take the Box Index, for example: it measures the production levels of cardboard boxes used to ship everyday goods like beer, toothpaste or cereal. When they plunge, it’s because sales are slow. But that’s boring, right? Much more interesting is the idea the the length of women’s skirts might be tied to how much money is going around. The New York Magazine calls it the Hot Waitress Index: the hotter the waitress, the weaker the economy. Why? Because they attract more business when the money flow decreases. Sexist all you want, but effective. There’s more very weird indicators, including the number of unclaimed corpses at the morgue (funeral services are not cheap), mosquito infestations (home foreclosures create favorable breeding grounds), and the cover of Sport Illustrated magazine. Business Insider has a list. And since you’ve made it this far, I might as well ask you: what’s in the picture that opens this post? A chocolate fountain? 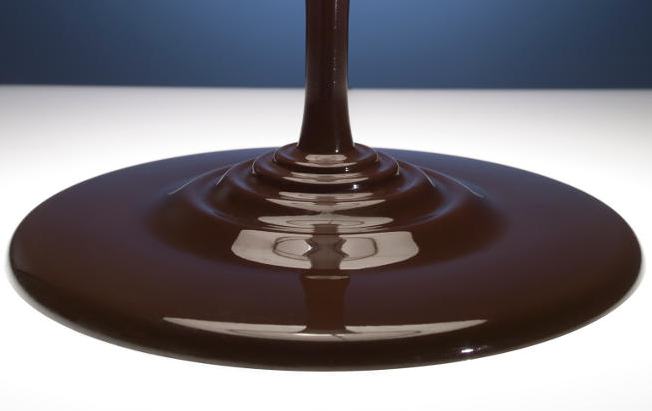 Chocolate pouring from the Heavens? Nope. It’s a lamp. 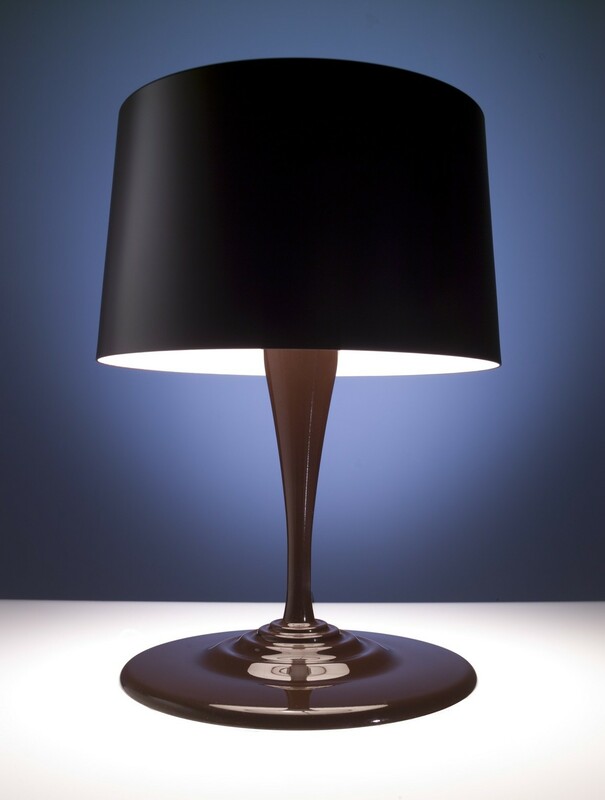 It’s called the Nemo ChocoLite Lamp and it’s made by Italian furniture manufacturer Cassina. So don’t underestimate the power of chocolate on the human brain yet.